Please note: These themes and templates require a Shopify account in order to work properly. Get your 14-day free trial here. Supply (Blue) is a template that was designed for online shops of all types, but was designed to work especially well for those with larger inventories. The navigation allows your products to be easily categorized, while the extra features add enhanced functionality and include: a sidebar filter (for narrowing down items), multiple collections on the homepage (for displaying related products), and comes built to easily incorporate the popular Product Reviews app. Supply (Light) is one of two styles for the Supply template, the other being the Supply (Blue) style mentioned above. 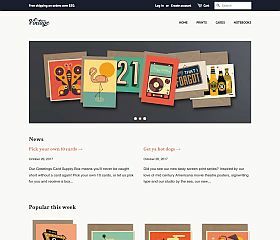 Minimal (Vintage) is a trendy and forward-thinking option amongst Shopify themes. Its clever and creative use of typography and fonts will draw attention to your products and create familiarity and trust with your visitors. 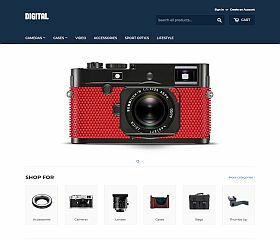 The homepage features a large, bold content slider that seamlessly transitions between the photos or promotional items that you want to display. 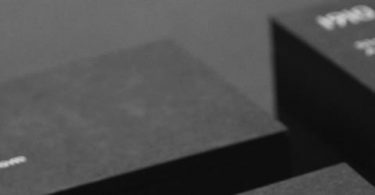 Minimal (Fashion) is a pioneer in the minimalist fashion template category. Allowing anyone from up-and-coming designers to world-renown fashion houses to showcase their wares. This theme provides you will all of the essential elements and design features that will keep you up-to-date with the latest web development best practices and technology. Minimal (Modern) delivers a responsive design (so all of your visitors have a great experience on your site no matter what type of screen or device they’re using) and a timeless look that ensures your site never looks dated or out-of-style. 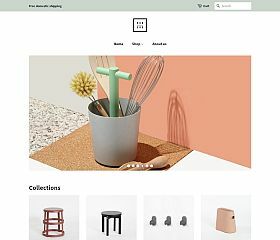 Simple (Light) stays true to its namesake by providing a clean and unclutterd design for you to build your online store with. 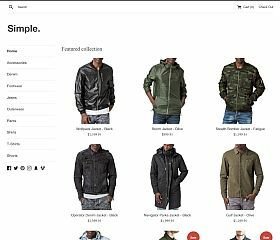 A simple sidebar navigation menu and grid-style product gallery layout can adapt to meet any store’s needs – whether you’re an apparel store or other online retail shop. Making the best use of photographs, it gives you all of the aesthetic appeal you could want to draw your visitors into your store to purchase. Simple (Beauty) is a clean and modern-looking template that appeals to many different styles and types of products. With a layout like its light theme counterpart, this particular design adds some color and appeal to cater to your visitors’ tastes. Parallax (Aspen) incorporates parallax-style design elements (the screen changes perspective as you scroll), a long-form layout that is useful for incorporating a variety of content, a news/blog section, and integration of your social media accounts. 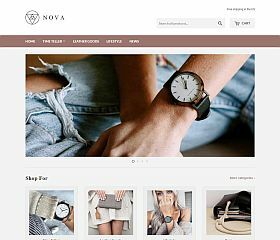 This particular theme is perfect for those looking for a store that balances content and e-commerce. Shopify is one of the most popular and fastest-growing eCommerce solutions on the market today, and for good reason. There are few companies or products that offer the ease-of-use and robust functionality that you will find when using their platform. 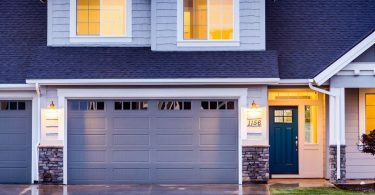 From powering around 10,000 stores in 2011 to more than 80,000 as of this post (and processing more than $2 billion in sales along the way), their growth is nothing short of amazing and is a testament to the wide appeal of their product. Whether you’re just getting started with selling things online, or you’re looking to make the switch to help facilitate your ordering, management, and other processes involved with an online store – you will find that getting up and running couldn’t be easier. Not confined to any particular industry, you can use Shopify for anything from jewelry to furniture to electronics – basically, any type of website who would want to sell things on the web. 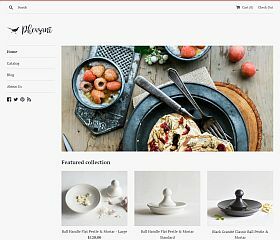 One of the coolest features that they offer when you choose them for your shop, is the ability to give your site a beautiful-looking design with a “theme.” Similar to themes for WordPress, these give you the looks and functionality you would want to convey a professional image to your visitors. However, there are a handful of truly amazing ones that have been released free of charge, allowing you to get up and running with a great-looking design that is great for businesses or people looking for an affordable solution. 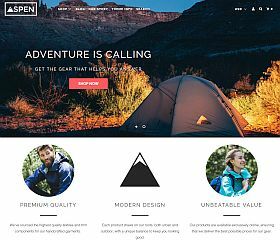 Here, we have gathered some of the very best free and premium themes for Shopify to help you find that perfect design that first for your needs.